There is a great weekend observation and photo opportunity as Venus is passing within a few degrees of the Pleiades open star cluster (Messier 45). You won’t need a sky chart for this one, simply look West in the evening and Venus should be easily spotted as the brightest point in the sky. 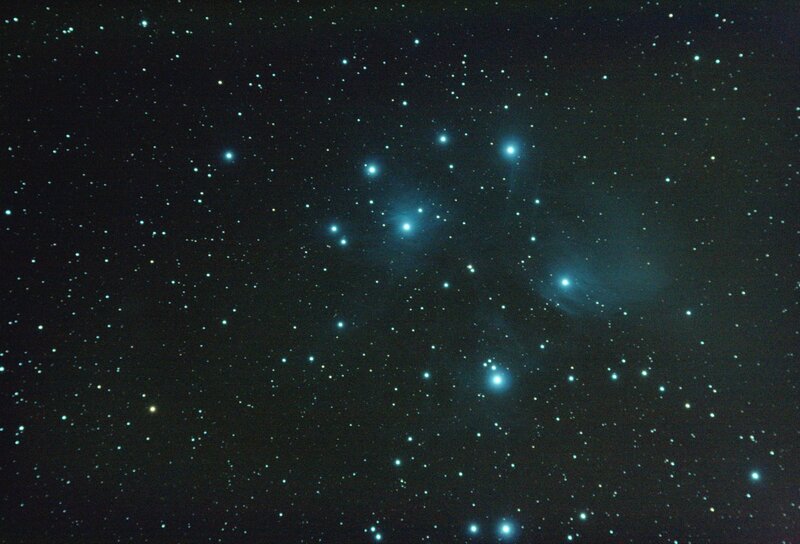 The Pleiades can be observed without any instruments, but if you have binoculars you’ll better appreciate this open star cluster also called Seven Sisters. A camera and a tripod? Why not! Try different settings to see which one give you the best results. 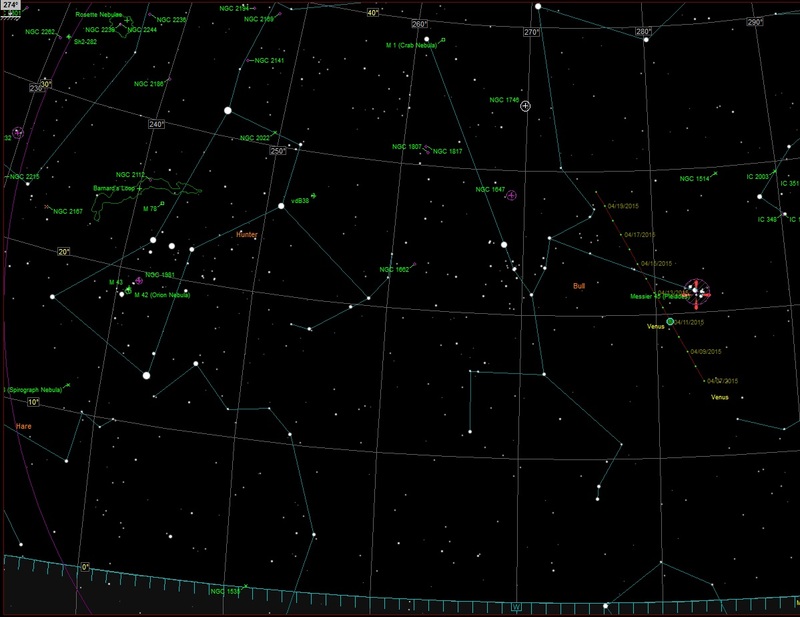 While you are checking out that part of the sky, scan 40 degrees towards the South (to the left) and you’ll find the Hunter constellation (Orion) also great to look at and photograph. Take the time to observe the colour of the stars, from the red supergiant Betelgeuse to the blue supergiant Rigel, the two brightest stars in Orion. 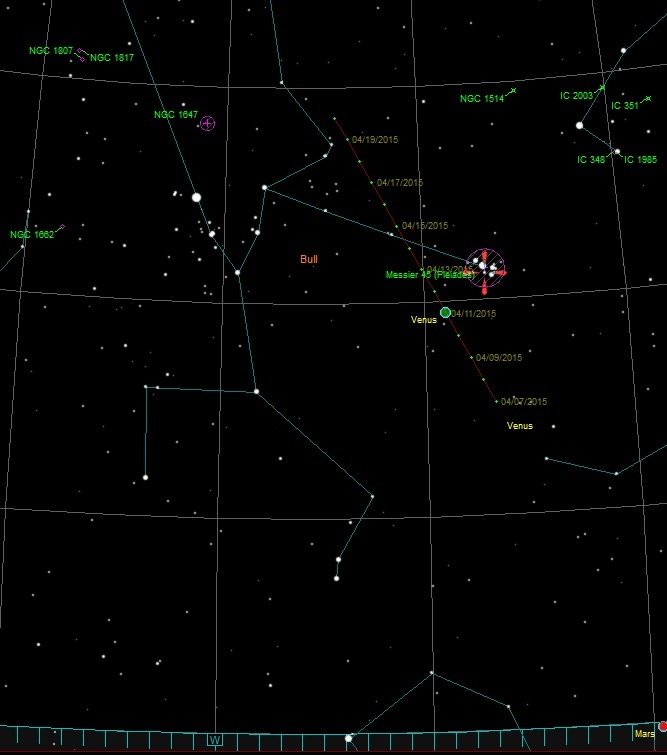 These two constellation (Taurus and Orion) will set around midnight, therefore they will be low over the horizon (20deg above horizon at 9pm local time). This entry was posted in Events and tagged Astronomy, Constellation, Messier, Orion, Pleiades, Taurus, Venus by Benoit Guertin. Bookmark the permalink.